The new user-friendly kOne Business software delivers maximum operating convenience and guides users intuitively to the right result. 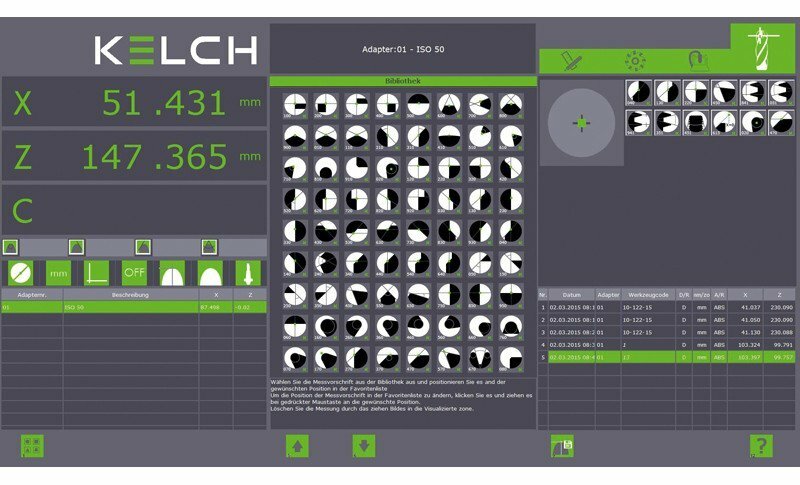 KELCH has supremely met the need for simple and intuitive operation of the measuring software with its new kOne Business software. The software informs users in a structured manner about the tool, adapter, measuring function and values measured on the tool – all on a single screen. Its structure and functions mean that even inexperienced operators can obtain the measuring results they require within a very short time. 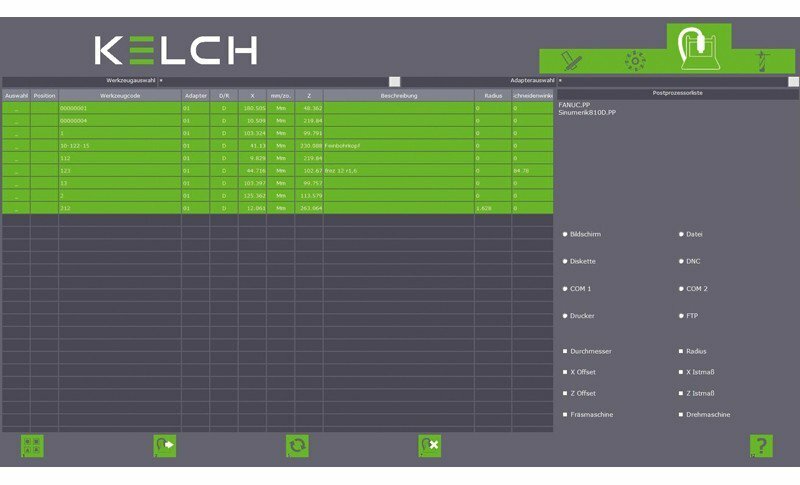 Simplicity coupled with broad-based functionality are the key features of this new software from KELCH. See for yourself! -Dynamic cross-hair for automatic and quick measurement (picture 1). 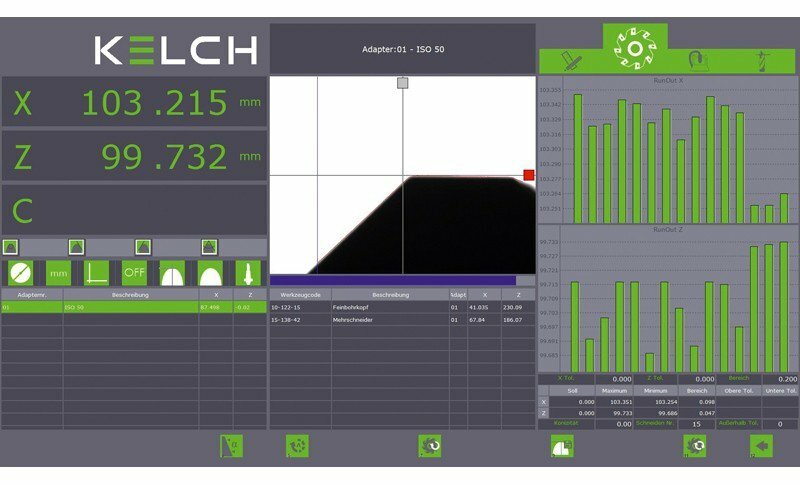 -Checking of the radial and axial run-out of multiple cutting-edge tools with graphic bar graph display (picture 2). -Wide range of different cutting forms for precise measurement (picture 3). -Data transmission screen with preview option (picture 4). A host of useful features, such as the checking of radial and axial run-out, total image function with live image for monitoring purposes and an additional top light for tool inspection, are all included as standard. The permanent active focusing aid enables users to immediately measure tools correctly, without a single click of the mouse. 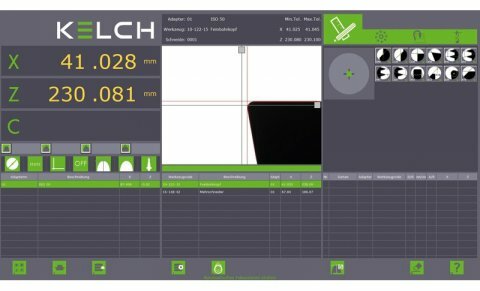 Regardless of whether you simply want to measure maximum geometries (maximum point in X and Z) for simple drills and cutters, step measurements on step drills or to gauge thread cutters. the extensive range of measuring functions enables operators to quickly obtain the results they require. The dynamic cross-hair, which automatically finds the cutting edge, provides for quick and easy measuring of the maximum dimensions. Errors, possibly caused by incorrect input due to transposed digits, can be ruled out by optionally sending the measured results directly to the machine by post-processor via the network, thereby further enhancing operating convenience and process reliability. The information to be sent can be conveniently checked for correctness and completeness, by displaying the data in a format appropriate for the control.